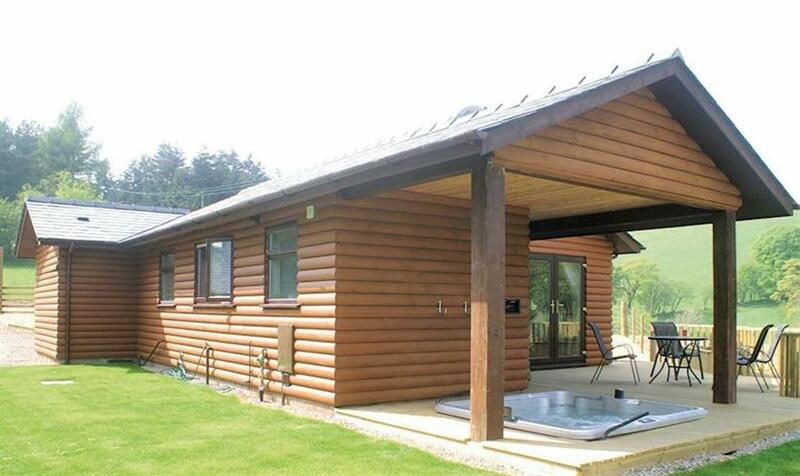 Lower Fishpools Lodges in Powys sleeps 4 people, with the accommodation being lodges. Enjoying an idyllic setting on the edge of Radnor Forest, Lower Fishpools offers a spacious, stylish retreat for lovers of the great outdoors and peaceful rural seclusion. Star-gazing from your hot tub is a must! Teeming with wildlife, Radnor Forest boasts tracks aplenty for walkers, cyclists and riders, while the market town of Knighton and bohemian Presteigne are a short drive. If you want to find out what other people have said about Lower Fishpools Lodges, read the reviews on Lower Fishpools Lodges for more information. And, for those last minute bargains, have a look at some of the special offers available at Lower Fishpools Lodges. Luxurious lodge with one double and one twin with ensuite shower. Bathroom. Spacious open plan living area with wood burner and patio doors opening onto a large decked verandah with outdoor hot tub. Find out about Lower Fishpools Lodges, including prices and availability. There aren't currently any special offers at Lower Fishpools Lodges however, the special offers shown below are all on parks within 30 miles of Lower Fishpools Lodges - so you may find these useful. Holiday at Tenbury in Worcestershire starting on Saturday 04 May 2019 for 7 nights. Holiday at Housman in Worcestershire starting on Saturday 04 May 2019 for 7 nights. Holiday at Housman Plus in Worcestershire starting on Saturday 04 May 2019 for 7 nights. Holiday at Tenbury in Worcestershire starting on Saturday 18 May 2019 for 7 nights. There are 24 holiday parks within 10 miles of Lower Fishpools Lodges. Upper Close in Walton, Powys, and sleeps 8 people. 5 miles. Little Brampton in Clunbury, Shropshire. 13 miles. Oaklands in Dolgellau, Gwynedd. 42 miles. The Old Railway Tavern in Clun, Shropshire, and sleeps 6 people. 10 miles. Tupsley House in Hereford, Herefordshire, and sleeps 12 people. 27 miles. Wishing Well Lodge in Great Malvern, Herefordshire, and sleeps 4 people. 35 miles. Treburvaugh House in Knighton, Powys, and sleeps 16 people. 2 miles. Bwythyn Glas Y Dorlan in Llandeilo, Dyfed. 46 miles. Yarchester Barn in Much Wenlock, Shropshire. 32 miles. The Lowe Farmhouse in Much Dewchurch, Herefordshire, and sleeps 14 people. 28 miles. Gwardolau Cottage in Rhayader, Powys, and sleeps 6 people. 16 miles. Llangain Farmhouse in Wye Valley, Herefordshire, and sleeps 8 people. 17 miles. Cefn Colwyn Barn in Caersws, Powys, and sleeps 4 people. 20 miles. The Dovecote in Tewkesbury, Gloucestershire, and sleeps 4 people. 49 miles. Hop Cottage in Ledbury, Herefordshire, and sleeps 4 people. 36 miles. Grove View in Leominster, Herefordshire, and sleeps 6 people. 20 miles. Craig Y Rhos in Machynlleth, Powys, and sleeps 6 people. 30 miles. Pillar Box Barn in Stock Green, Worcestershire. 49 miles. Merick House in Malvern, Worcestershire, and sleeps 6 people. 38 miles. Hendre Barn Mawr in Abergynolwyn, Gwynedd, and sleeps 8 people. 41 miles. Garth Y Pistyll in Llangollen, Clwyd, and sleeps 6 people. 47 miles. 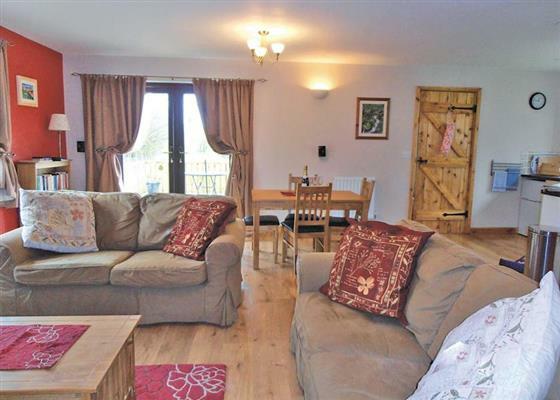 Coedfryn in Llandeilo, Dyfed, and sleeps 8 people. 38 miles. Longlands in Hay-on-Wye, Herefordshire, and sleeps 10 people. 16 miles. The Town House in Bala, Gwynedd, and sleeps 8 people. 45 miles. Henllys Lodge in Llandovery, Carmarthenshire. 34 miles. Troopers Barn in Church Stretton, Shropshire, and sleeps 12 people. 20 miles. Criftin Farmhouse in Bishops Castle, Shropshire, and sleeps 8 people. 18 miles. The Farmhouse in Newent, Gloucestershire, and sleeps 10 people. 42 miles. Bedw Barn in Newtown, Powys, and sleeps 14 people. 17 miles. Glanyrafon Bungalow in Rhayader, Powys, and sleeps 6 people. 14 miles. Woodbine Cottage in Ludlow, Herefordshire. 22 miles. Rosehill Manor in Market Drayton, Shropshire, and sleeps 20 people. 48 miles. Bronawel in Oswestry, Shropshire, and sleeps 11 people. 33 miles. Morrells Wood Farm in Shrewsbury, Shropshire. 35 miles. Holly Farm Cottage in Llandrindod Wells, Brecon Beacons, and sleeps 6 people. 11 miles. The Balance Farm in Kington, Herefordshire, and sleeps 14 people. 9 miles. Covent Garden Cottage in Malvern, Herefordshire, and sleeps 6 people. 38 miles. Sisial Y Llyn in Bala, Gwynedd, and sleeps 9 people. 45 miles. Penlan House in Barmouth, Gwynedd, and sleeps 10 people. 47 miles. Shepherds Rest Cottage in Ludlow, Shropshire, and sleeps 6 people. 25 miles. Bolstone Court in Little Dewchurch, Herefordshire, and sleeps 15 people. 31 miles. Tynrhyd Retreat in Aberystwyth, Ceredigion, and sleeps 28 people. 30 miles. Friary Cottage in Ludlow, Shropshire, and sleeps 6 people. 19 miles. Maes Rheidol in Aberystwyth, Dyfed, and sleeps 7 people. 35 miles. Hindwell Farmhouse in Presteigne, Powys, and sleeps 10 people. 6 miles. Bearwood House in Leominster, Herefordshire, and sleeps 10 people. 13 miles. Forthampton Court in Tewkesbury, Gloucestershire, and sleeps 10 people. 47 miles. Sporting Heights in Clows Top, Worcestershire, and sleeps 24 people. 31 miles. Buttercups Haybarn in Whitchurch, Shropshire, and sleeps 10 people. 48 miles. Kingfisher at Maesydderwen Holiday Cottages in Llandeilo, Brecon Beacons National Park, and sleeps 10 people. 43 miles. The Cider Barn in Hereford, Herefordshire, and sleeps 14 people. 23 miles. Burrills View in Craven Arms, Shropshire, and sleeps 6 people. 17 miles. The House in the Hills in Hay-on-Wye, Brecon Beacons National Park, and sleeps 10 people. 20 miles. Old Vicarage in Llangenny, Crickhowell, and sleeps 14 people. 31 miles. The Bell and Flamingo in Westbury-on-Severn, Gloucestershire. 47 miles. Leaton Corner in Bomere Heath, Shropshire, and sleeps 4 people. 35 miles. Devil's Bridge Retreat in Aberystwyth, Cardiganshire, and sleeps 28 people. 30 miles.